Then we look forward to seeing you soon! In the meantime, why not start planning your day to make sure your time with us at the Gillian Lynne Theatre is as smooth as possible? We’ve done the hard work, so all you need to do is click the link below to check how and where to find us; have a look over our seating plan; and familiarise yourself with disabled access to the theatre. Get ready to experience the extraordinary. The Gillian Lynne Theatre recently made showbiz history when, in May 2018, it became the first West End venue to be named after a woman. This was in honour of Dame Gillian’s outstanding contribution to musical theatre – primarily as choreographer of the groundbreaking production of Cats, which ran here for over 21 amazing years after debuting in 1981. 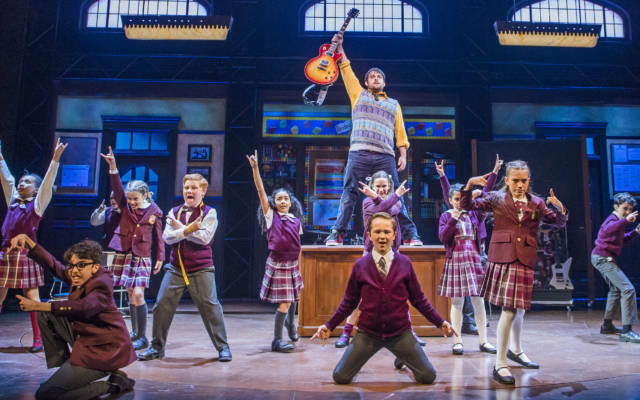 Other smash-hit sensations have included the original London production of Grease, starring Richard Gere, and the record-breaking War Horse, so it feels fitting that the theatre now hosts Andrew Lloyd Webber’s latest rock-tastic reimagining, School of Rock the Musical. Home to a 1,000-seat auditorium, relatively intimate by West End standards but still comfortably capable of hosting large conferences and launches, the Gillian Lynne Theatre offers a truly unique space. Located on London’s iconic Drury Lane, just a short stroll from Holborn tube station, our theatre is surrounded by the character of the capital, while our flair for hospitality and technical expertise are a sure-fire way of conjuring up a touch of showbiz magic for your next event.